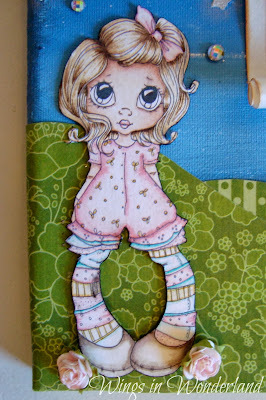 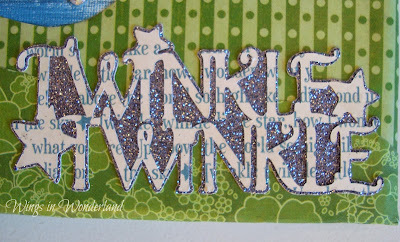 Kristy here with my first post using the new Graphic 45 Mother goose collection. This is a beautiful and bright collection with a lot of room for interpretation but here is what popped into my head first. 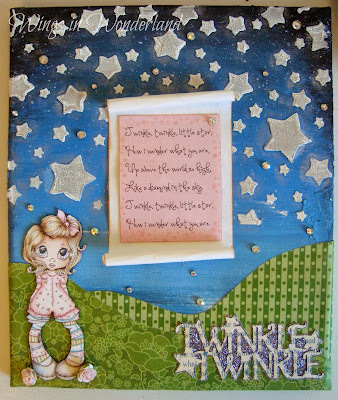 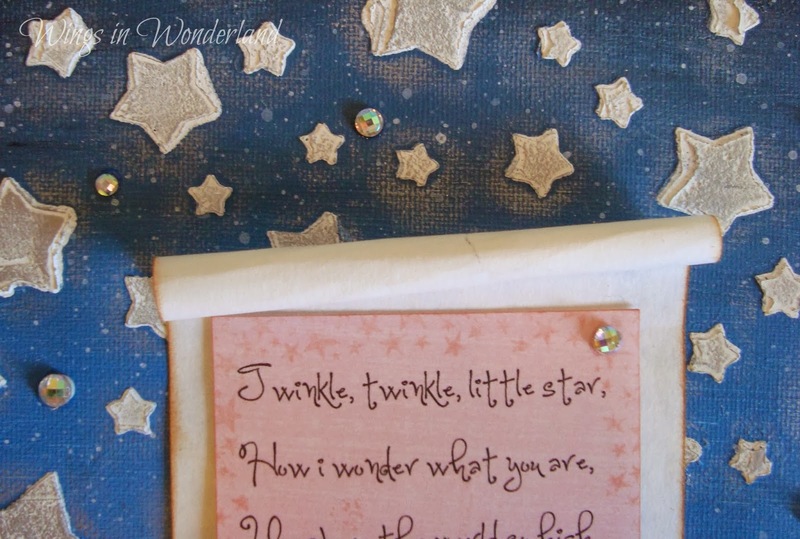 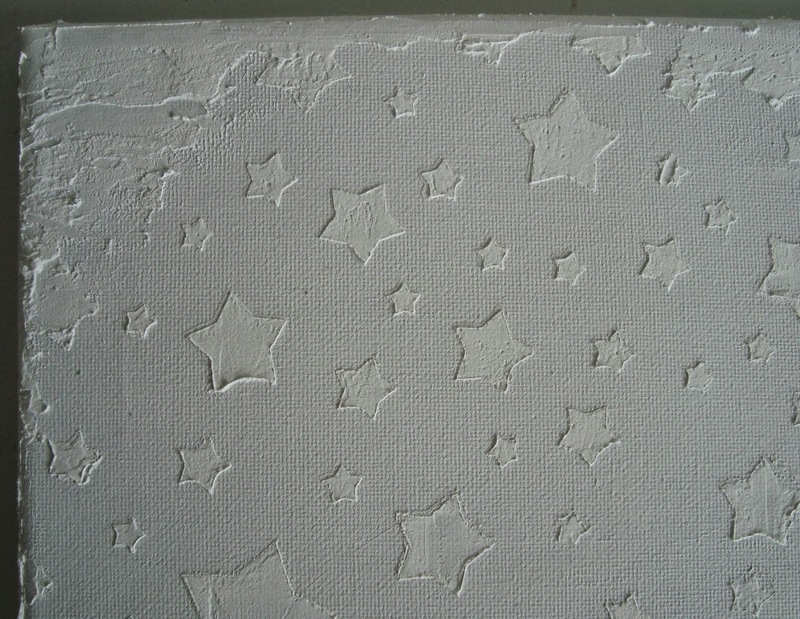 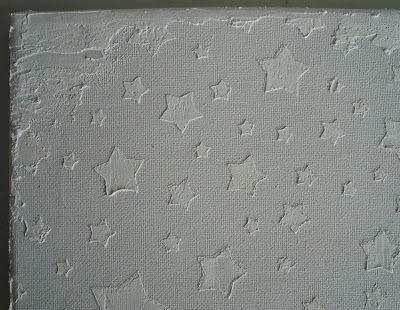 I have used the Prima Stars Elements stencil to add some texture paste to my canvas (below) and then I painted with acrylic paints with Metallic rub on to give the stars a bit of pop. 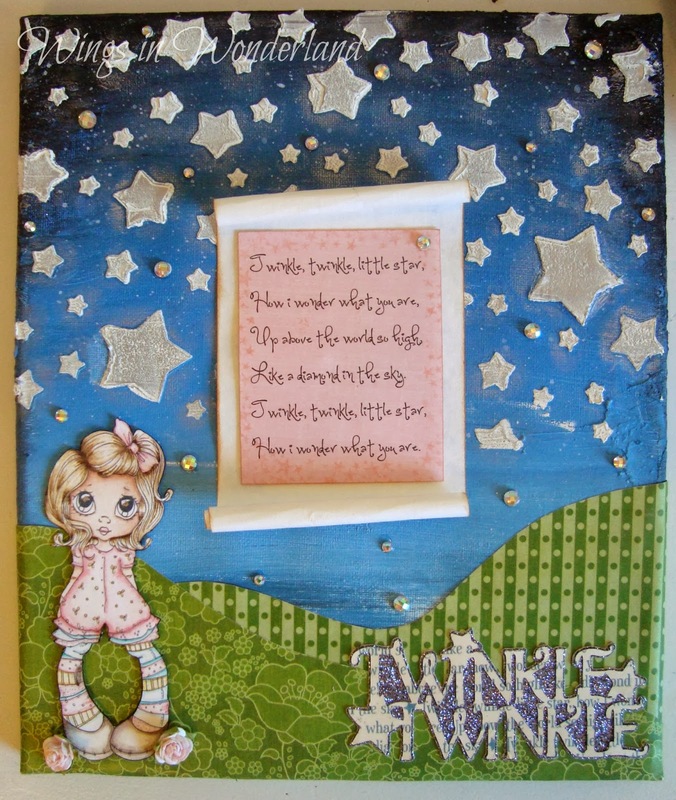 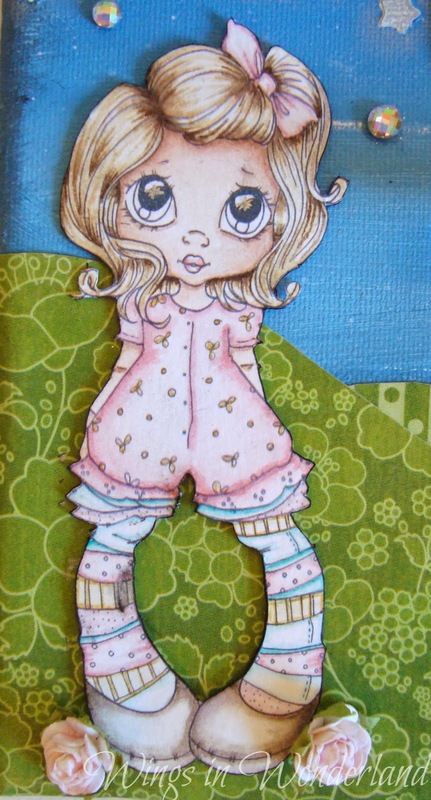 I then added hills cut from the paper stack and attached and sealed with modpodge. 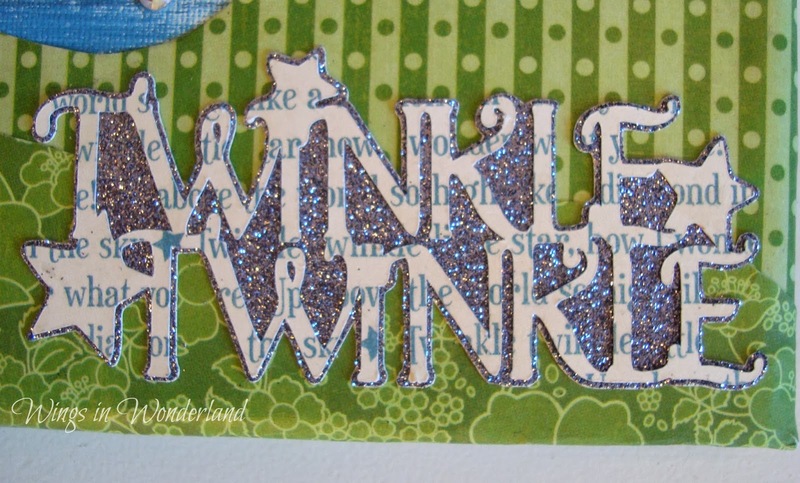 the tittle was cut from the designer paper with my Cricut and this sentiment comes from the Nursery Rhymes cartridge.